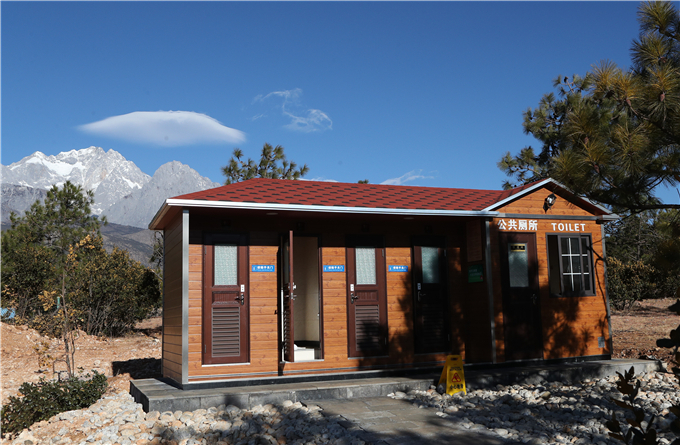 727 smart toilets were used for 28 million times, 158,000 drivers applied no-contact payment at express highway toll gates, all of the received 3,500 complaints were settled, more than 30,000 tourism enterprises were put under digital integrity supervision… In 2018, through the development and operation of “Yunnan at Your Fingertips” project, Yunnan Province has pushed forward the smart tourism development and achieved a lot in restructuring and upgrading its tourism industry. In recent years, to accord with the new development trends of tourism, Yunnan has made great efforts to offer better tourism service and experience. In 2017, the province launched the “Yunnan at Your Fingertips” project, which is the first provincial-level holistic tourism service and management platform. 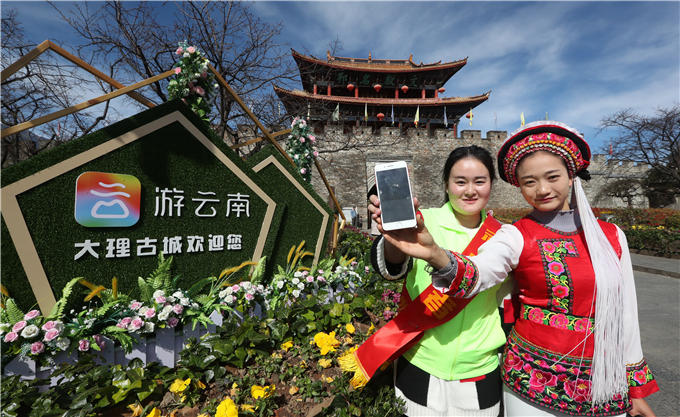 As the project’s early-stage achievement, the “Travel in Yunnan” app was put online on October 1, 2018. Right now, the app has 1.5 million registered users. It also has become the largest scenic spot live broadcast platform, the most comprehensive geological information platform, the quickest complaint settlement platform, and the platform with the most digital guide services in the country. By using the “Travel in Yunnan” app, Miss Li entered the Dali Chongsheng Temple Scenic Spot in less than one minute. She booked the admission ticket on the app, and uploaded her headshot photo in advance, and entered the scenic spot via facial recognition. “It really saves time,” she said. Right now, the smart ticket checking system has been applied to 91 scenic spots in the Yunnan, which are graded AAA and above. “Through the ‘Yunnan at Your Fingertips’, we can find whatever help we need before, during and after the travel in Yunnan, “ said Su Cen, a Chinese writer. Before the travel, tourists can choose the routes, book hotels, learn about featured delicacies and watch live videos about scenic spots; During the trip, they can use the AI image recognition function, scan QR code to get introduction to the scenic spots, find toilets, book travel services, rent cars, use no-contact payment; after it, they can apply for digital invoice and make credit evaluation on travel service providers. Through “Internet +Management”, a closed-loop tourism management system has been formed. 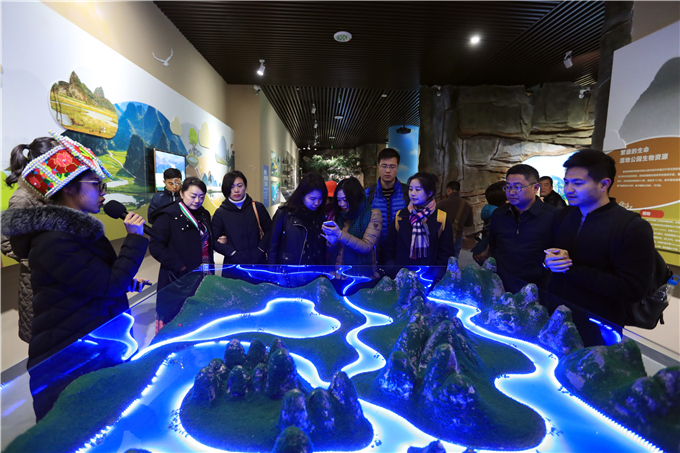 The “Yunnan at Your Fingertips” project consists of one tourism big data center, and two platforms which are the comprehensive tourism service platform and the comprehensive tourism management platform. The “One Center and Two Platforms” can meet the demand of quick settlement of complaints. They are connected to the tourism credit system, digital contracting system and digital invoice system. Over last year, all 3,500 complaints were settled and 95% of them were handled in 24 hours. On the front page of “Travel in Yunnan” app, there is a function named “Capacity of Scenic Spot”, which serves as an early warning system. With the visiting peak time comes in last August, whenever the management of Lijiang Old Town found that the number of tourists exceeded the capacity through the real-time monitoring, they released early warnings and gave advices for tourists on how to avoid the peak times.